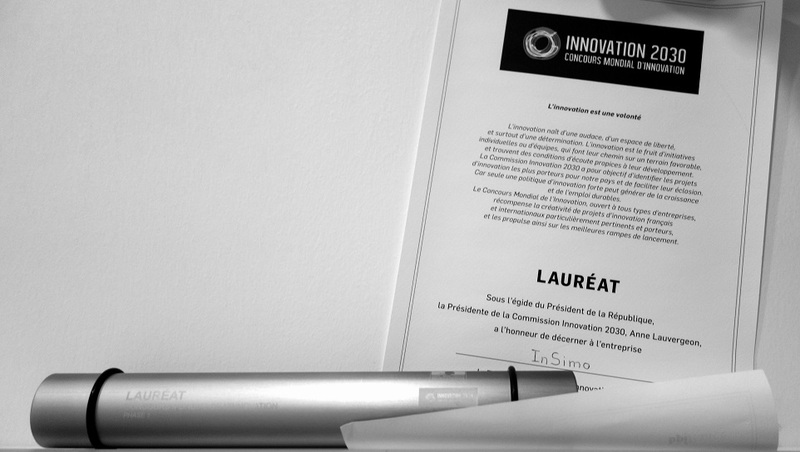 InSimo was in Paris to receive its price in the Worldwide Innovation Competition. This event organized by the French Public Investment Bank (BPI) encourages the talents of today to create the collective wealth of tomorrow, and thus rewards best projects in selected innovation fields. In the category “Personalized Medicine” InSimo received a price for its research & development project DISPLAY (DIgestive Surgery PLAnning sYstem), in association with Strasbourg IHU. The objective is to develop a relevant surgical planning tool that will allow surgeons to test several operation designs, helping them to select thus the more adapted to their patients. More information in the official press documentation and on the French Government website.